I've spent a lot of time at George Bell Arena this past decade. My oldest son plays there, and even I've played there for a stretch. I call it the old barn and enjoy walking around looking for relics of the past. Recently, all the signage was updated. The new signage is from the City of the Toronto and very functional, but it sure lacks the character of the old signage. 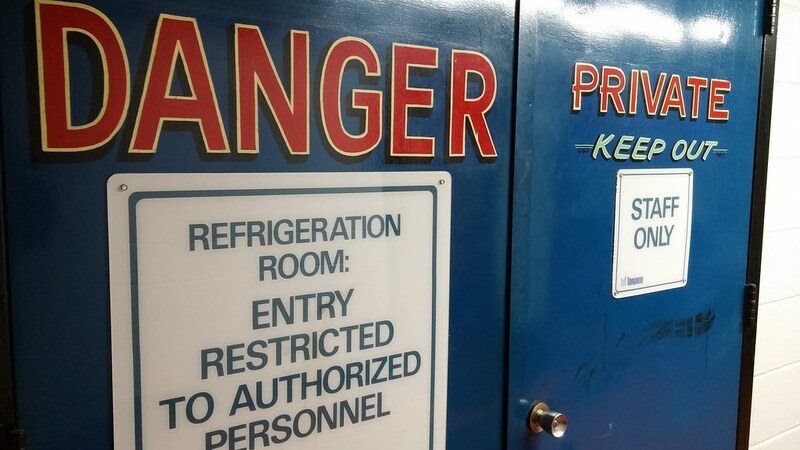 There are still a few examples of the old signage, if you look hard enough. If you leave the beaten path, you'll reach this door. 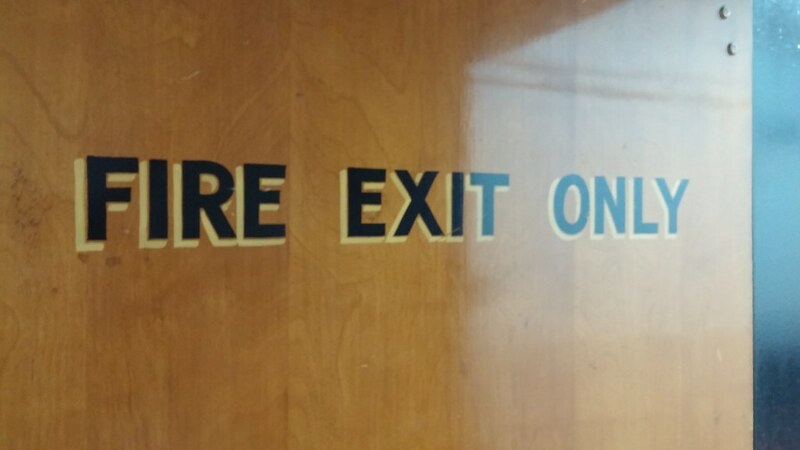 I dared not enter. Here's a room no George Bell House League parent knows exists. Apparently you can swap out used equipment here. 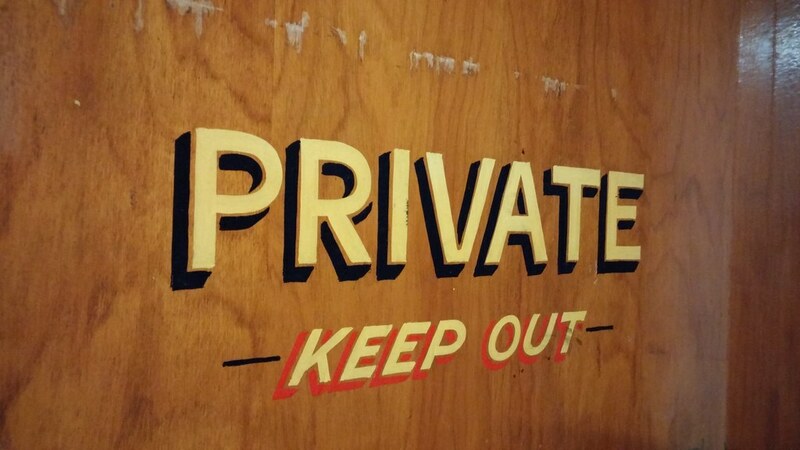 It might be the best kept secret in the place. 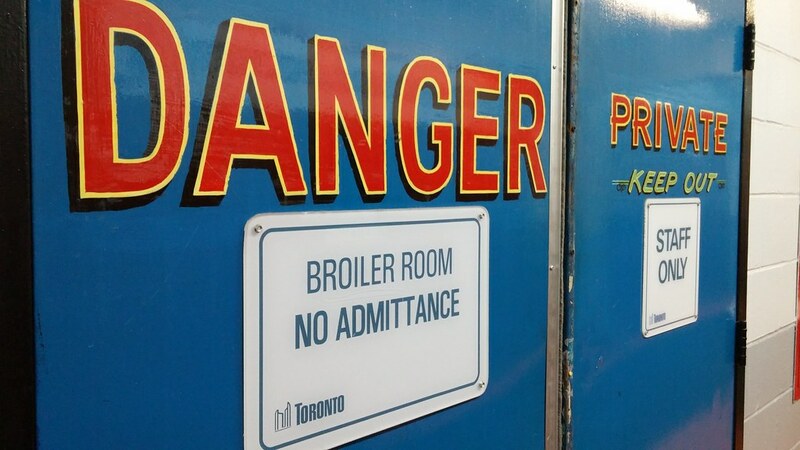 I'm surprised this sign hasn't been replaced by the new official City of Toronto signs. You'd think a lawyer would insist upon it. Here are a couple of hybrids. 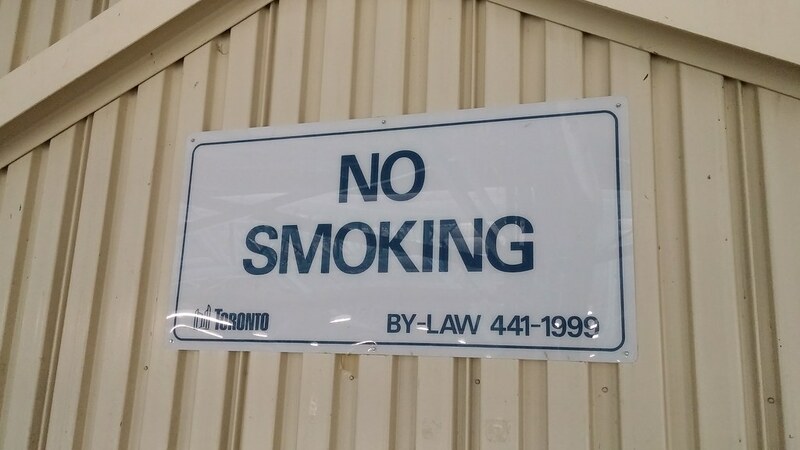 The old signage remains, but the new official City of Toronto signage has been added. This is the upstairs snack bar above the ice. 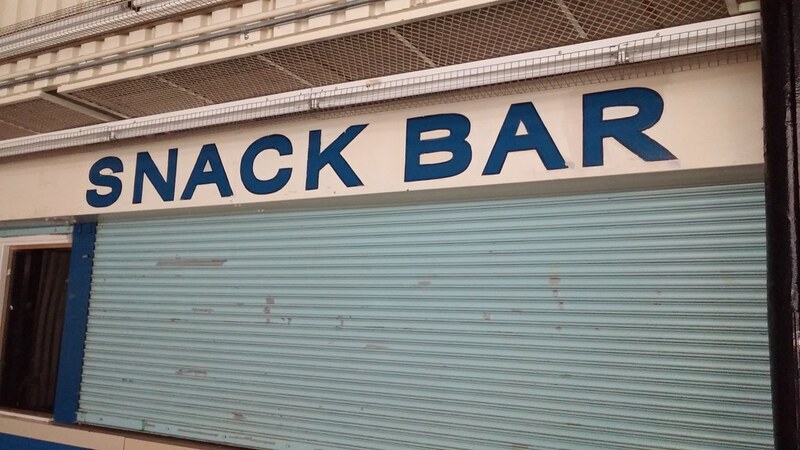 I have never, ever seen it open, but I'm glad the sign remains. And finally, here's a comparison of the old signage and new signage. We'll start with the new and end with the old. 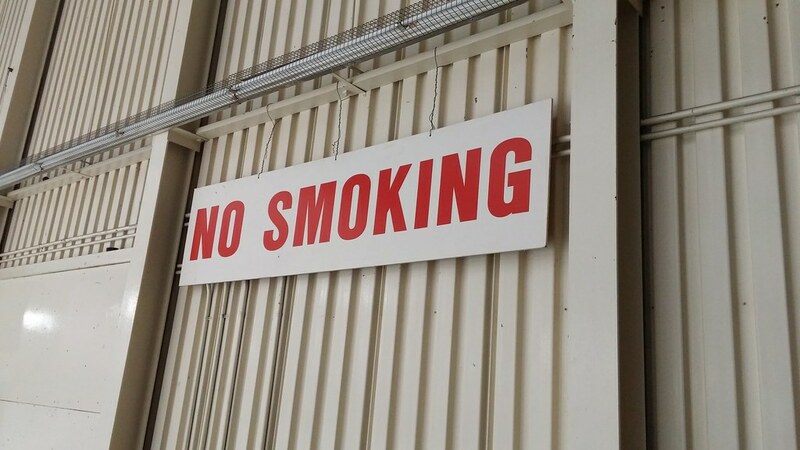 And remember kids, don't smoke! 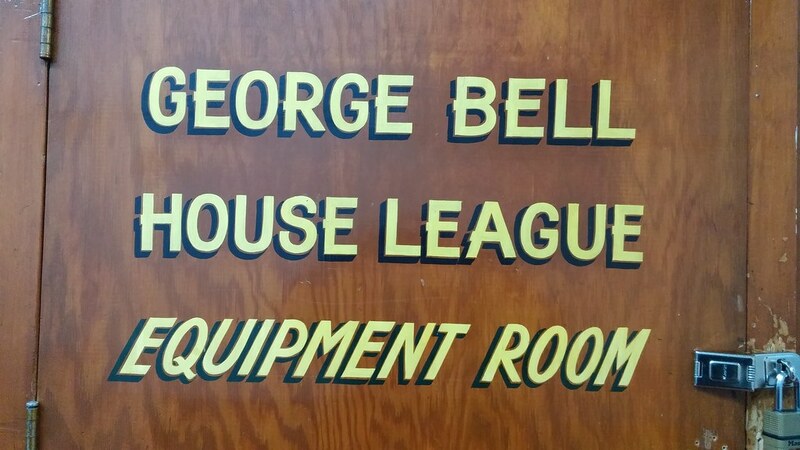 These are awesome, especially the extra little bits on some letters in "George Bell House League"
I love old signage almost as much as I love old advertising. 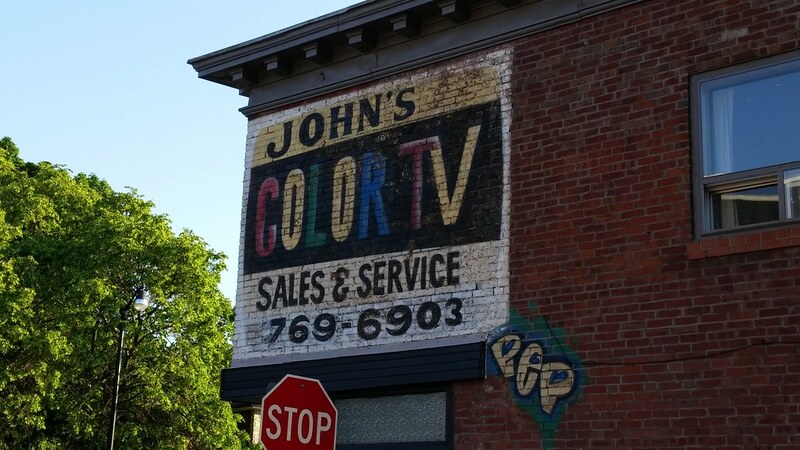 A favourite of mine is old worn-out permanent billboards on the sides of brick buildings. You should check out old signage at Keelsdale Arena (Eglinton & Black Creek) & Lambton Arena (Dundas & Scarlett) - possible both older than George Bell. Bolton's Arena was an old horse barn converted in the 40's or 50's & still going strong. I learned to skate at Noble Park, an outdoor rink at East Drive & Scarlett Rd. & also at Renee Park another outdoor rink in Swansea area where my Grandma lived, especially on weekends visiting. 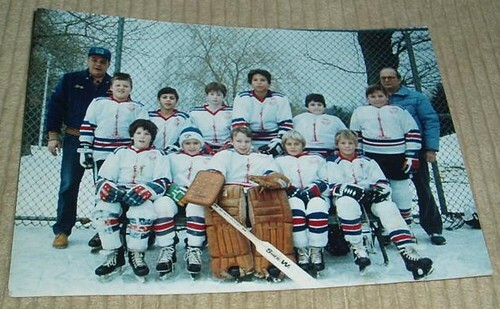 I played my house league hockey at Rennie Park!